Flamenco dancer and teacher 20+ years. Well versed in this art after studies in California, New Mexico & Spain. Also extensive background in ballet & modern dance completes her knowledge of traditional dance training. Andrea’s love of improvisation lends itself to true dance understanding. Most influential teachers were Diana Alejandro, La Tania, Belen Maya, Juana Amaya, Ciro, & El Guito. She was a soloist in Arte Flamenco de San Jose 5 years before forming her own company Los Flamencos del Pueblo. Receiver of Santa Cruz Ethnic Arts grant several times complimented her career & allowed her to perform with top flamenco artists. She has taught at San Jose State & West Valley College. Being an artist in residence with Santa Cruz Ethnic Dance for 5 years & teaching extensively in public schools, as well as educational lecture demos contributed much to the community. All this while offering classes in various private dance studios throughout California featured her teaching children to adults, beginners to professional for many years. 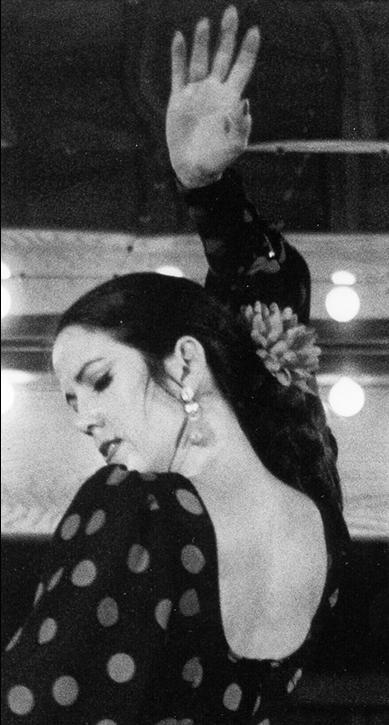 Performing in Spain 2009, New York City & North Carolina 2008, in addition to most of her years throughout California, filled a lifetime flamenco career. Having recently returned from living in Spain 2yrs & immersing herself in the flamenco life of gypsies found in Andalusia, Southern Spain helped further Andrea’s understanding of this difficult art form. She is currently teaching flamenco dance classes throughout Marin County in California. And performing monthly at the Sausalito Seahorse Restaurant. Andrea La Canela Flamenco Dance Performance and Instruction. Simple theme. Powered by Blogger.